Just when you thought all hope was lost, here comes Play Out to the rescue! 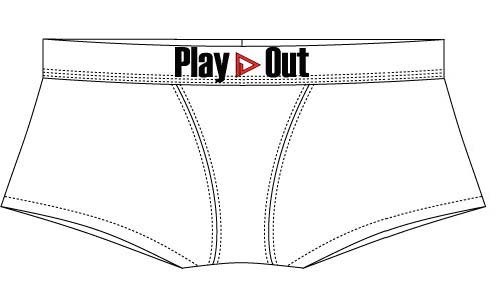 Play Out underwear comes in three styles – Boxer briefs, Hipsters and Bikinis – without all that extra business going on the the crotch region. And, they come in fun colors and patterns! Please help support businesses that support you and give to their Kickstarter campaign. Previous articleAsk dapperQ: Masculine Engagement Rings for Small Fingers? I got really excited and was totally down to fund the kickstarter, and then I looked at their size chart. 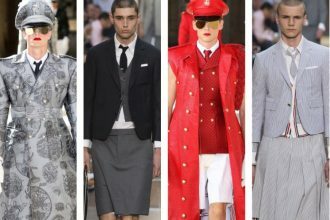 Honestly, I think there is already a lot of awesome DapperQ wear for smaller-bodied people, but people with larger waists are still stuck with the quandary of wearing oversized men’s clothes (unless they are fortunate enough to be able to afford tailoring) or wearing mass market girly plus stuff. Thanks tons for the comment! We are working on bringing larger sizes to market. As a start-up, we needed to ‘start’ somewhere. Please keep watching us, and hopefully we can raise enough money and then some to get it done. Dapper love!